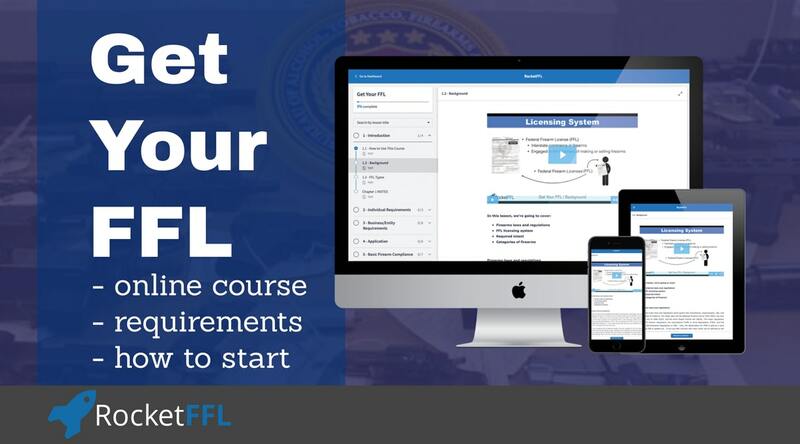 The ATF has released new versions of seven revised FFL & SOT forms! 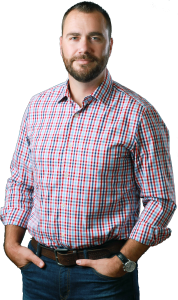 All of these include revised mailing addresses and went into effect February 1, 2019. The ATF has put a 90-day courtesy period in place during which they will forward forms mailed to the old (incorrect) address, to the new (revised) address, on your behalf. 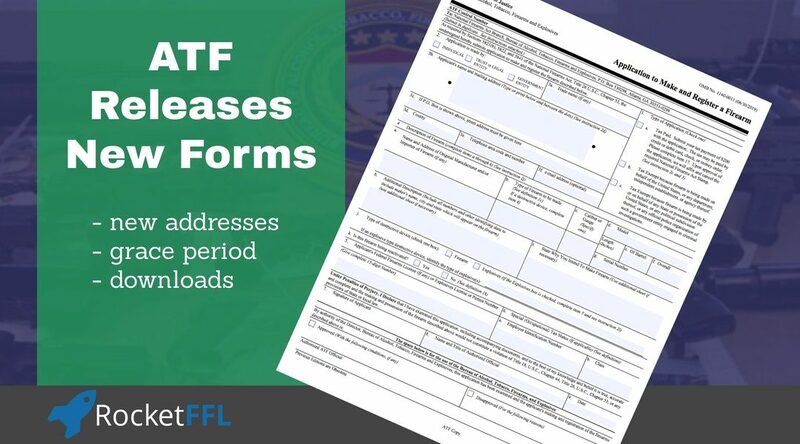 If you mail any of these forms after April 30, 2019 to the old address, they will not be received by the ATF. We strongly recommend that you start using these forms right away, rather than waiting. The forms may seem straightforward, but there are a lot of things to take into consideration when using them. We cover this, and provide all the latest versions, in our Get Your FFL & Become an SOT courses. If interested in both, you can save $30 by bundling the courses together! ATF’s Form 1 is for non-FFLs to make and register their own NFA firearm. You can download the latest version and learn more about the form here: ATF Form 1. ATF’s Form 4 is for the transfer of an NFA firearm from an FFL to a non-FFL customer. You can download the latest version of this form here: ATF Form 4. ATF’s Form 7 is to be used when applying for new licenses, for all FFL types. You can download the latest version of this form here: ATF Form 7. ATF’s Form 8 is for FFL license renewals. Renewal applications are automatically mailed to the “mailing address” on your license approximately 90 days prior to the expiration of the license. If the application is not received 30 days prior to expiration, contact the Federal Firearms Licensing Center (FFLC). ATF’s Form 5400.13/16 is used to determine eligibility for working with explosives. You can download the latest version of this form here: ATF Form 5400.13/16. 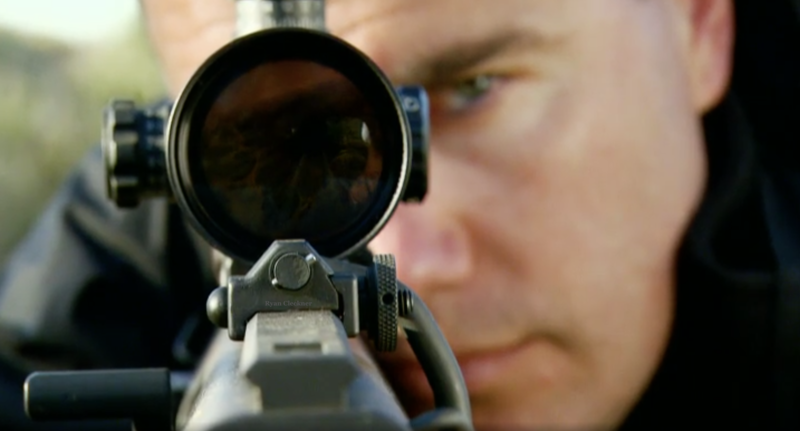 ATF’s Form 4587 is used to register (and pay) to import defense articles that are on the U.S. Munitions Import List. You can download the latest version of this form here: ATF Form 4587. ATF’s Form 5630.7 is for FFLs to file if they engage in importing, manufacturing or dealing of NFA firearms in order to pay the SOT. The annual tax begins on July 1st and ends on June 30th. You can download the latest version of this form here: ATF Form 5630.7.